Join us for the 2nd Annual VIPS 5K For The 5 Senses Family Run/Walk on Saturday, October 20, 2018 at 9am at The Club at UK's Spindletop Hall. This unique family-friendly event will invigorate all of your senses as you run or walk throughout the beautiful grounds of Spindletop Hall and the Legacy Trail. Sight, sound, smell, taste and touch....your senses will come alive as you help to support a great cause! Plan to stay and join us for the SENSEsational Spot, where there will be tons of hands-on activities for kids and adults to explore using their 5 Senses. 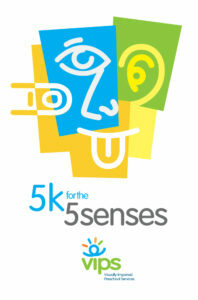 Join us at the SENSEsational Spot for hands-on sensory activities before and after the race! 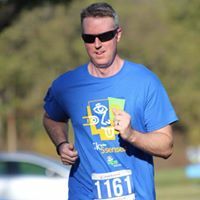 $30 for Virtual Runner-- An opportunity for those who can't run/walk the race in Lexington to participate. Register as a virtual runner/walker and we'll mail you your race bib and commemorative T-shirt. 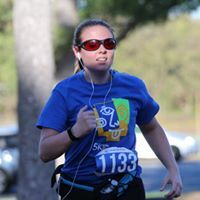 Run/walk your own 5K to support Visually Impaired Preschool Services and make a difference in the lives of children in Central and Eastern Kentucky who are blind or visually impaired. Timed 5K run/walk through the grounds of The Club at UK's Spindletop Hall and the Legacy Trail. Overall & Age Group awards will be presented. Service animals are always welcome. Pets are not allowed. Strollers and wagons welcome. Ready to add your support to VIPS? Visit our RunSignUp page to sign up or learn more! Download the sponsorship form and help support VIPS in Central Kentucky.